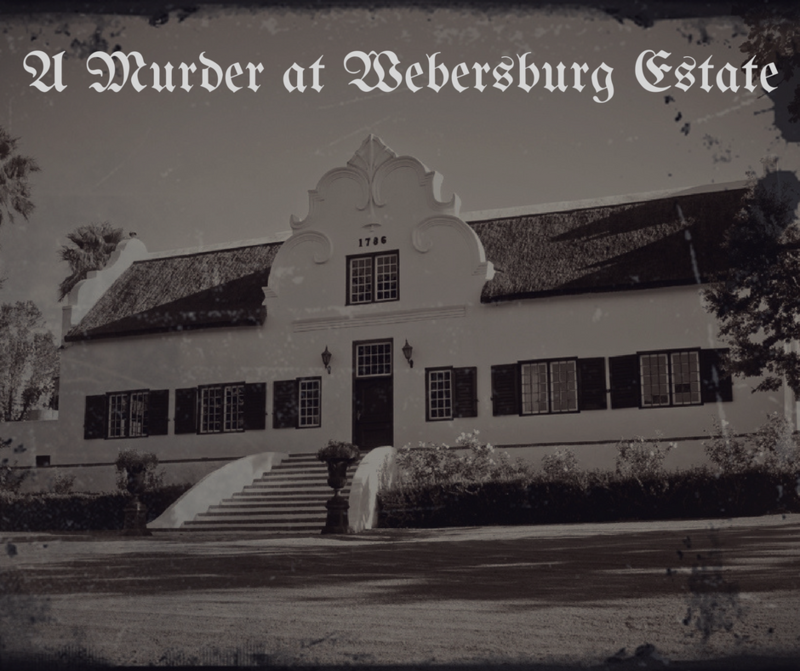 This unique murder mystery is set in the 19th century at the stately Webersburg Wine Estate, Cape of Good Hope. The year, to be precise, is 1853 and Cape wine exports to Britain are at an all-time high. The fine wines from the tip of Africa are in fact so popular that they are out-selling French wines in Britain. Needless to say, the French are not pleased and have been doing everything in their power to suppress the export of wine from the Cape. The Cape wine industry on the other hand, has never been more delighted with its produce. So much so, that the Governor of the Cape decided to host a celebratory Grand Ball. 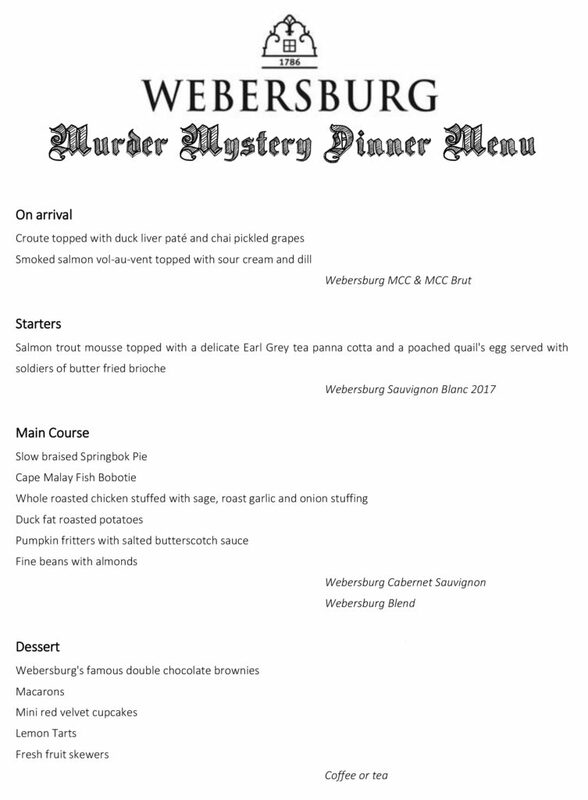 Join us for a night of delectable cuisine, delightful drinks and dangerous intrigue at The Body in a Barrel Webersburg Murder Mystery Dinner. Over a memorable 3-course meal, you will become both suspect and detective as you attempt to solve a gruesome crime. Do you have what it takes to figure out whodunit? Bookings: (0)21 881 3636 or events@webersburg.co.za. Bookings are essential. Guests will be seated at tables of 8, so get your friends together and reserve a full table alternatively you will be teamed up with like-minded strangers to make up a group of eight.